Cannabis activists are the pioneers who helped paved the way for the cannabis movement and continue to fight for legalization and justice. 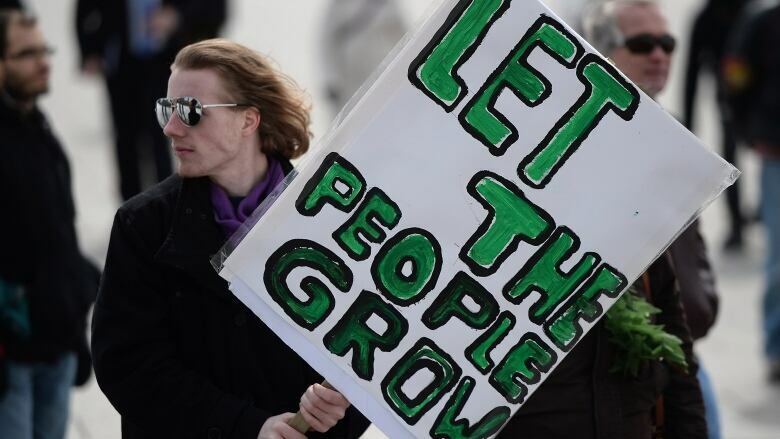 In today’s world, it has become much easier to be a cannabis activist. As people become more and more excepting of the miracle medicine, it’s easier and easier to stand out in public and protest criminalization or anti-cannabis laws, without fear of repercussion. It hasn’t always been this way, though, a few cannabis activists blazed the way and supported cannabis legalization before many of us even considered it an option. These forerunners set in motion a movement that would eventually be backed by millions, thanks in part to their hard work. Here are four of the most influential cannabis activists you should be following. Brian Vicente is Denver, Colorado’s most influential cannabis attorney. Straight out of law school, this man began defending medical marijuana patients who were suffering from AIDS and cancer. These patients were finding some relief from their symptoms with cannabis use, despite its illegal nature at the time, and Vicente fought for their right to continue using. The Queen of Cannabis and The Real Nancy Botwin, Dr. Dina is one of the most influential people in the cannabis industry. In 2003, she helped open Los Angeles’ first-ever medical marijuana doctor’s office, and continuing on to help six more cannabis physicians open their own practices that year. Dr. Dina now runs many dispensaries, is a cannabis consultant across the country and keeps many of Hollywood’s A-list celebrities legal, card-carrying, cannabis users, including Snoop Dogg. If that’s not enough, Dr. Dina also founded a non-profit organization, Freedom Grow, to help free pot prisoners and continues to make her life’s mission to end unjust cannabis incarcerations. Follow her on Twitter @DrDina. If you’ve never heard of Dr. Sanjay Gupta, you must not keep up-to-date with much in the way of medical advances. CNN’S Chief Medical Correspondent and practicing neurosurgeon, Dr. Gupta isn’t intrigued by the hype surround cannabis legalization, he’s more concerned with helping people understand the undeniable science behind medical marijuana. In addition to about a million other things, part of his way of spreading information is through documentaries. Dr. Gupta creates unique cannabis films that focus on everything from political challenges facing the movement, to using cannabis as a tool to help fight the rising addiction epidemic. Because of his well-known reputation, Dr. Gupta has access to some of the most influential people in the world, even featuring President Obama in a film. 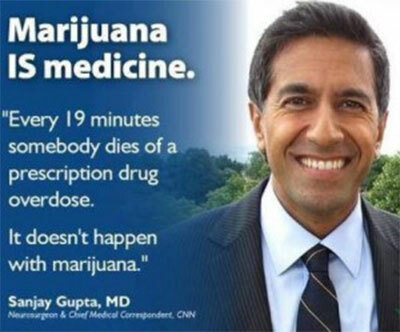 Dr. Gupta continues to be the most trusted voice in medical marijuana. Follow him on Twitter @drsanjaygupta. The Executive Chancellor of Oaksterdam University, Dale Sky Jones has been working for years to help cannabis entrepreneurs fully understand the complex rules and regulations surrounding the industry. After opening in 2007, Oaksterdam and its founder, Robert Lee, became subject to federal raid, after federal raid, after federal raid. With an extensive understanding of the cannabis industry and all of its’ inner workings, Jones became Lee’s successor, ensuring the university continued to operate as usual, to educate the next generation of cannabis activists. Currently, Jones teaches classes on cannabis business management and politics of the industry. Jones continues to work alongside law enforcement and city officials, hoping to get others to understand the financial benefits available from legalizing cannabis. Follow her on Twitter @DaleSkyJones. Who is your favorite cannabis activist? Let us know on social media or in the comments below.